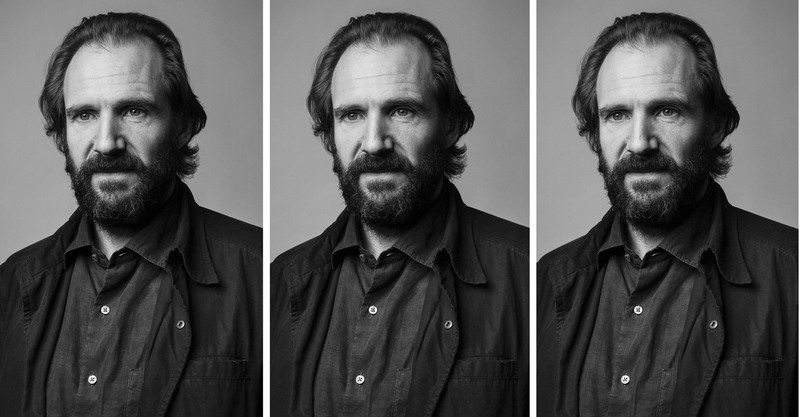 Ralph Fiennes' new film The White Crow hits theaters in March 2019. This interview took place at the Cairo Film Festival in 2018. Mr. Fiennes, what’s the best advice a director has given you on a film set? Well, I remember Steven Spielberg was incredibly informed about lenses and technical things, and that made him very instinctive in terms of how he directed: “Do it quicker, faster, something’s not right.” He is totally spontaneous, he doesn’t try to measure his direction but it’s very true, it’s very direct and for that reason, very exciting. Anthony Minghella was wonderful, gently guiding you over here, over there, wonderfully reassuring and very, very nurturing. But something I’ll always remember is working the Hungarian filmmaker István Szábo. I did a film called Sunshine with him, and he has a very classical approach. I remember him saying to me that he felt that the close-up was the key element, that cinema is about the close-up on the human face, that thoughts and feelings are born on the face for the first time. And that always stuck with me how he looked for that when he was directing, for the virgin moment. The moment before the actor has had time to prepare or to make or to demonstrate, I suppose. He used to say, “Yes, yes, nice, fine Hollywood emotions. Now please, we go again.” He was looking for this pure unfiltered thing. Often, it might be on the first take, but sometimes it wasn’t. What is that experience like on stage where close ups aren’t possible? You weight your expressiveness as an actor completely differently when you’re on stage! I love looking at old interviews with actors on YouTube and I saw an interview with Laurence Olivier, where he says he thinks in film the camera and thus the audience, goes to the actor — whereas in the theater, the actor goes out to the audience. And I think that’s quite simple but actually very true that physically, vocally, you are sending energy across a physical distance, filling a specific physical space and a specific moment in time. You are creating waves of communication through voice and gesture or even stillness, of course. Thea Sharrock said that when an actor is completely in the moment, it is palpable and you really can feel it. Yes — even on stage, actors talk about letting the audience come to you but I think in the theater, you’re very aware that there’s a space which is full of the energy of what we’re doing, even if we stop and go still. So it’s about how we manage these rhythms of space and speech and language, it’s a completely different set of muscles. It’s interesting. Would you ever consider stage directing? I do want to direct in the theater! I just haven’t, it hasn’t come about yet. I love being in the rehearsal room… Where I feel happiest is with the right director and group of actors in a rehearsal room where there’s no audience and you’re just trying things. I think that the uncertainties of making films can make it all quite stressful. What kind of uncertainties were involved in the three films you have directed? I was because I really, really wanted to make a film and not have the stress of being in it. It was so tricky with the money that when she said that to me, I folded. All the sales agents were saying that if I played Pushkin, it would really help. So all my resistance went. But it didn’t really… It was the same before in Coriolanus, the first film I directed. Everyone said if you get a big star to play opposite you as your nemesis, it would help. I got Gerard Butler, and it was still a struggle! So I don’t know… There are some directors, auteurs like Terrence Malick, you know, he can make the film he wants and get Hollywood A-listers in it. I’m not in that league. But I guess you also benefitted from that scenario as an actor because for so long, as an A-list actor you helped secure financing for films. Well, it’s gone up and down a bit. I think definitely with Schindler’s List and The English Patient there was a lot of strong interest in me as an actor, I was being approached by lots of different projects… Then there was a bit of a dip with The Avengers [1998 movie adaptation of popular British TV series], which was a huge flop. (Laughs) I could feel the temperature cool considerably — but then I felt it came around a bit with Constant Gardner around 2004, and then Harry Potter after that. I could feel a kind of interest in invitations coming up a little bit. But it all teaches you. You get older, so your casting bracket changes and you get asked to play fathers and uncles… You know, there’s ebbs and flows. Would you say you’ve become more philosophical about the whole business over the years? I think you do. I think there’s always one’s fragility and neuroses and one’s vanities always there, lurking somewhere, looking to trip you up, but as life goes on, you’re more accepting, you’re more grateful... When a good script comes along you’re very thrilled in a way that perhaps you weren’t when you were young. I was lucky with this break in Schindler’s List and possibly a little bit complacent because suddenly the interest seemed never ending. You’re thinking, “Maybe, maybe not,” and you sort of shrug at these opportunities. But now I realize, especially having been on the production end with directing, you see how tough it is to make a film at all. I think my perspective of what’s involved is broader. I feel more appreciative.